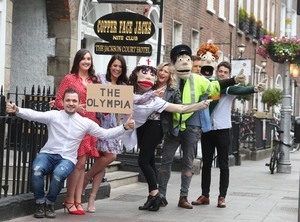 The cast of Copper Face Jacks: The Musical in and out of costume celebrate their Olympia Theatre extension – “extra summer shows have been added due to phenomenal public demand”. 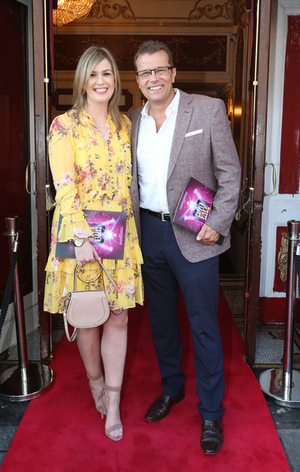 Packed full of “craic, huge laughs, culchies, Dubs and lots of shifting” the musical will return to the Olympia Theatre from July 10 until August 10. 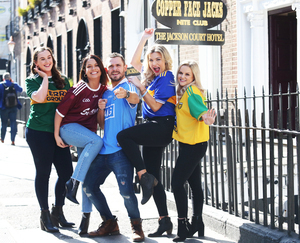 From left: Roseanna Purcell , Michele McGrath, Johnny Ward, Rachel O’Connell and Kelly Marie Ni Cheallaigh. 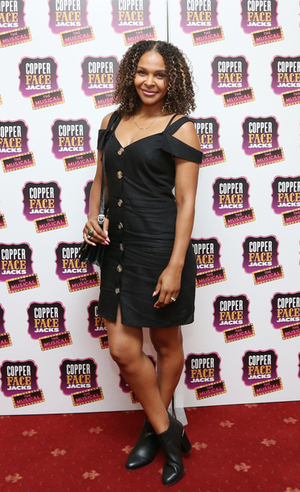 Posted in Misc and tagged Copper Face Jacks: The Musical at 3:06 pm on March 27, 2019 by Bodger. What Do You Mean You ‘Didn’t Get The Shift’? 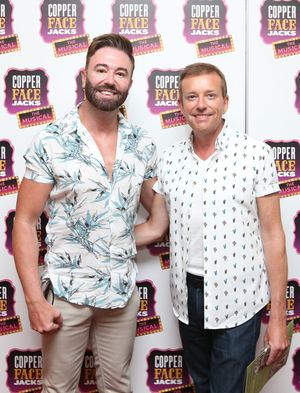 The opening night of ‘Copper Face Jacks: The Musical’. From top: Deirdre O’Kane, Anna Geary and Maia Dunphy; Alan Hughes and Karl Broderick; Sarah Emma Hughes and Ali Bya; Ros Munnelly and John O’Loughlin; Samantha Mumba; Mary McCarthy and the musical’s creator Paul Howard. 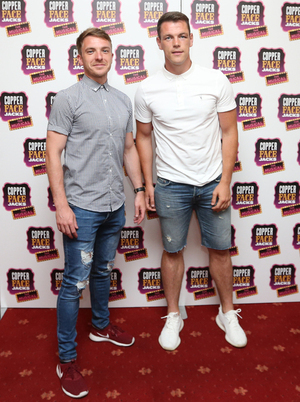 Posted in Misc and tagged Copper Face Jacks: The Musical at 12:08 pm on July 11, 2018 by Bodger.